It’s not every book that has an introduction from an accredited clinical social worker considering their client, yet it’s entirely in keeping with this reprinting of Ivan Brunetti’s 1990s output. Art is his outlet, yet such are his deeply embedded childhood fears of the forbidden that drawing is an extremely painful process. He notes in one strip that he’s able to continue only when fear of his publisher’s wrath overwhelms a dread of criticism. The bulk of the book is the first three issues of Brunetti’s solo comic Schizo, the title playing on his mental state, and applying to his cartooning, which was brilliant and expressive in any number of styles early in his career. There are numerous faux newspaper strip cartoons in which Brunetti supplies line-perfect imitations of Nancy, Blondie, Family Circus, Peanuts, Momma and others. 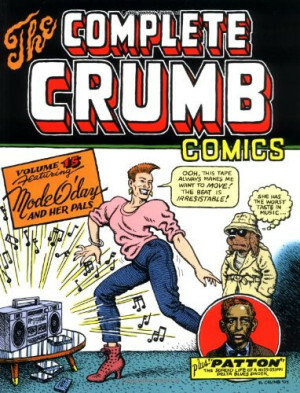 As he’s the lead character in much of his work, Brunetti adopts diverse self-caricatures ranging from basic Hello Kitty forms to the heavily inked style of Robert Crumb, the cartoonist who’d previously set the bar for confessional misanthropy. 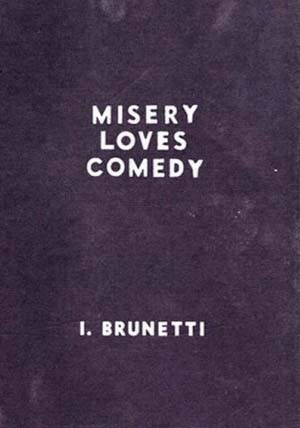 Brunetti’s tragic depression is key to his work. Deep within he’s a seething fury, raging at mediocrity, shallowness and mindless conformity, yet he’s the self-absorbed centre of almost all his work extending beyond a one tier gag. There’s a strip here in which Brunetti carries out a form of self-analysis via an imagined conversation with Jesus, engaging in transference to make his point, but by the conclusion a full page of tiny print forces any illustration into the bottom corners. It’s the tap that once turned on, can’t be turned off. 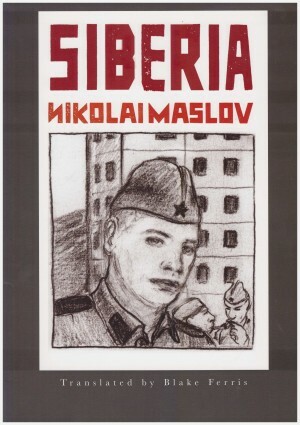 This is, at times, an unremittingly bleak book, with guaranteed to offend everyone gag panels (“a vacation from human decency”, as one message board poster had it), yet it’s also unremittingly hilarious. In a twenty page strip titled ‘Work Equals Degradation’ Brunetti savagely dissects the daily irritations of office life, sparing neither himself nor his co-workers. The regimentation he relates is common to all office environments, but the isolation in a crowd, and contrast between his outer persona and inner voice is unique. He curses his fellow workers for their presumed snootiness, yet harbours hateful assumptions about most unless they’re subjects of his fantasies. Yet for all the bile, this is very funny observational comedy. Brunetti’s constantly pushing the boundaries of his art. 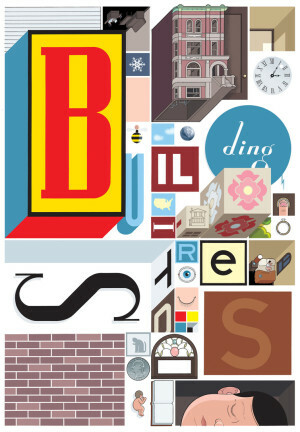 There is a text and illustration piece bringing to mind 1950s New Yorker style cartooning, there’s a photo collage, a note-perfect letter of praise about Chris Ware in his style, experimentations with colour, alternating between commonplace black and white with its negative opposite… If only all cartoonists had this spirit of adventure. 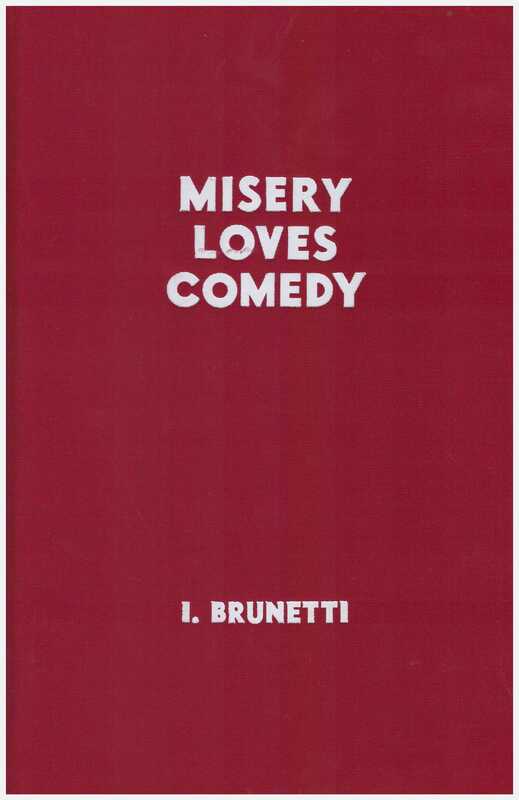 In addition to the issues of Schizo this cloth-bound hardcover conveniently incorporates contemporaneous work Brunetti contributed elsewhere, equally scabrous, nihilistic and uproarious. 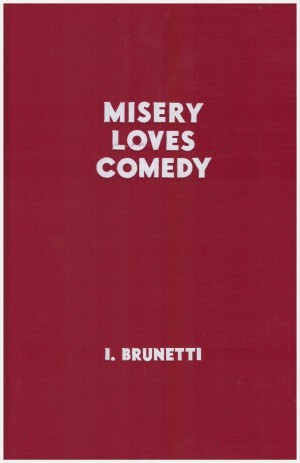 Misery Loves Comedy isn’t a book to be consumed in a single sitting, but a dense howl from the soul to be absorbed over time. Those of a compassionate nature should be informed that in more recent interviews Brunetti refers to this work as being from another country, from a person he no longer relates to. Or has he just improved his methods of concealing the truth?